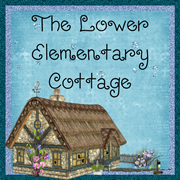 The Lower Elementary Cottage: Manic Monday! Scarecrow Sight Words Freebie! Who doesn't love a good freebie?! 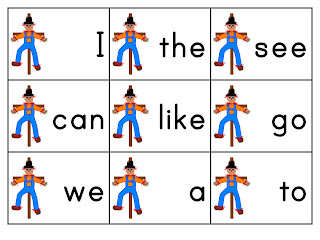 Grab my latest Freebie- Adorable Scarecrow Sight Words! There are 31 sight words, plus a few blanks so you can add some of your own words if they are missing. 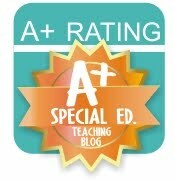 I based them on the Kindergarten sight words, but they are also great for beginning 1st graders. It's the first rainy day of the school year, and a Monday! I'm going to consider anything better than complete chaos to be a success!